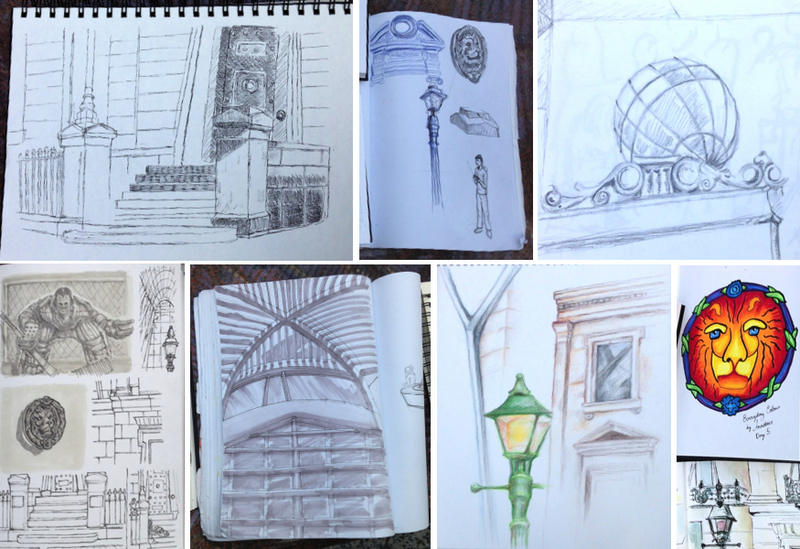 A little over a week ago, our sketching group met at the Brookfield Place to do some sketches of the office building complex located near the Union Station. We gathered in the spectacular Allen Lambert Galleria, also known as the "crystal cathedral of commerce", which was designed by Spanish architect Santiago Calatrava. Looking up at the curved ceiling, it definitely reminded me of Spain. The place was rather quiet during most of our session. 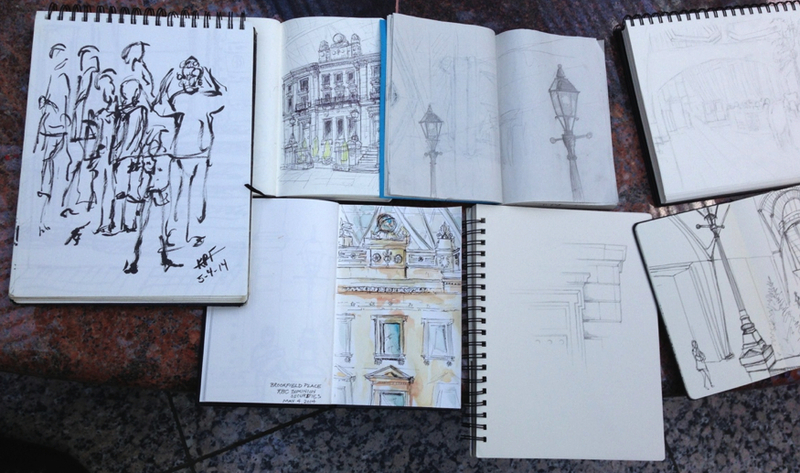 There was classical music playing in the background and people passing by at various time. Two couples came with their photographers to apparently take engagement pictures. It's a very popular place for that. It just goes to show the importance and impact of designing spaces to not only be functional but aesthetically pleasing. 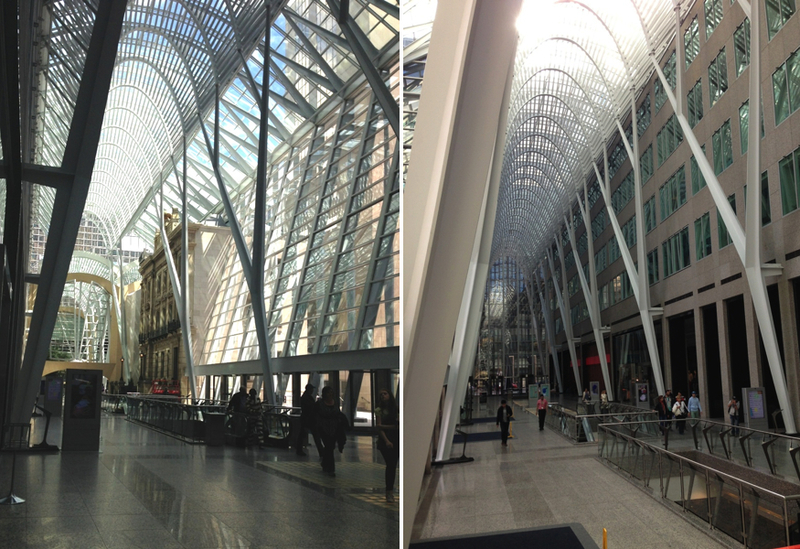 The design for this space was the result of an international competition to comply with Toronto's public art requirement. I would say that this is a success, judging by the amount of people who felt compelled to stop and take photos while we were there. 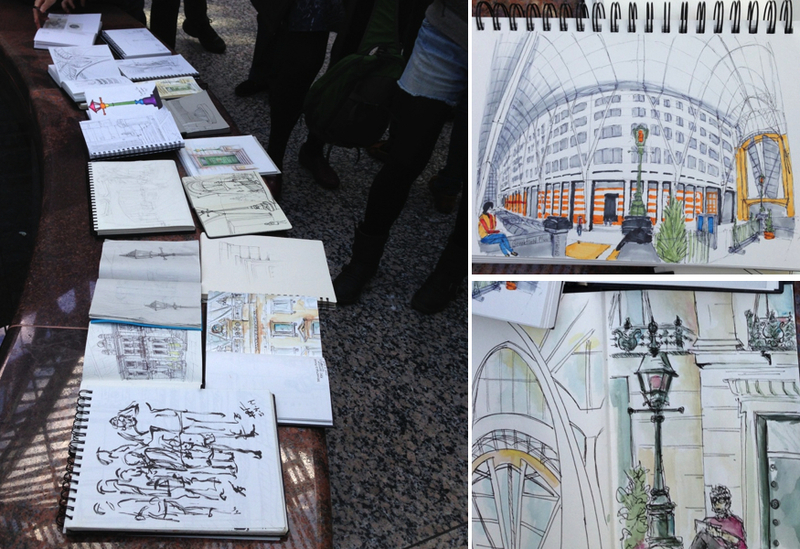 Once again we had a great turnout for our event and lots of great sketchers from the participants, as shown below. 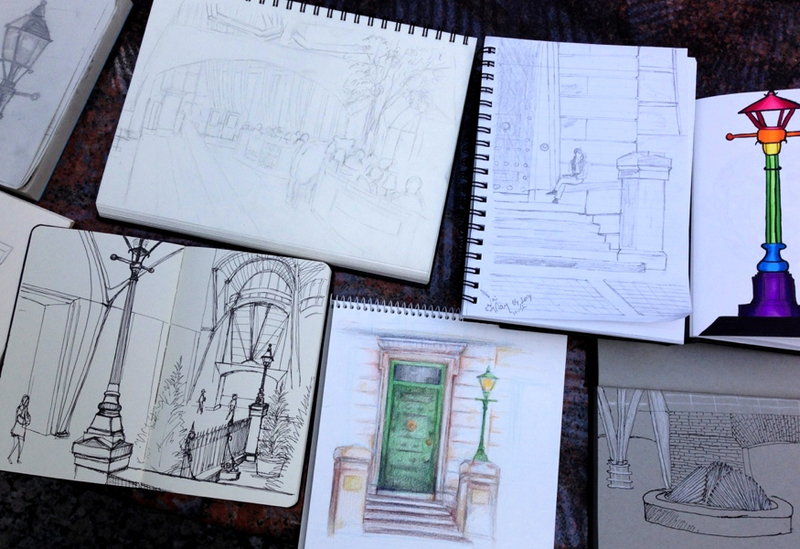 Now that the weather is getting warmer, I'm hoping we'll be able to sketch outdoors a little more. But on a cold day, this is a great place to hang out. The only thing missing in my opinion, are seatings for people to fully take in this beautiful space.